﻿ With all the information surrounding them, it wouldn’t be totally out of the question to assume the path that Lovebites travel. For one, they’re currently making waves within Japan’s burgeoning all-female metal scene, and with the showerings of praise from numerous high-profile figures, particularly from the worlds of hard rock and power-metal, the precocious nature of all five members and their sights set on breaking into the western market with as much force as in their homeland, the initial comparisons to Babymetal aren’t exactly making themselves hidden. But that’s merely all surface level, as debut full-length Awakening From Abyss is a noticeably different proposition. For one, this is a more traditional band setup rather than a vocal ensemble and a backing band, and thus Lovebites’ embrace of the sweeping power-metal of Helloween and Firewind ultimately feels less colourful and fun that what Babymetal do. It’s still fine on its own with a technical proficiency that immensely supersedes any expectations, but when the bulk of the appeal comes from that alone, it’s difficult for Lovebites to break through a ceiling that remains sturdy. Then again, it’s hard to complain much when Lovebites make it so apparent how strong this strength really is. The performance on this album is borderline masterful, taking up the dashing explosions of guitar work glossed up with production and arranged strings in the same fashion of acts many times their senior. It can make for thrilling moments too, like the bounding, gloriously overblown Scream For Me that’s already primed for an anime soundtrack, or any of the scores of occasions when Midori and Mi-ya’s battling guitars fully clash for moments of truly stellar exaltation. There’s not a hair out of place here as far as the construction is concerned, and the pairing of J-rock and power-metal – two genres where slickness, speed and a total lack of subtlety do the most when brought to the fore – does result in the greatest overall yield that fits Awakening From Abyss‘ vision. But like most power-metal, there’s really a limit of how much can be achieved here, and Lovebites feel that hit with full force. It mainly comes with a lack of variety and, despite how nimble and sharp the playing is across the board, it never really extends beyond that primary setting. The more delicate strings and pianos that open Liar and Edge Of The World hint at sweeping X Japan-style power-ballads, and while the latter gets closer with cutting stabs of orchestration through the mix that actually turn up the drama by a considerable degree, it’s largely more of the same. And again, that’s not necessarily a bad thing, but at the same time, Lovebites feel fairly hemmed in in terms of creativity, and coupled with Asami’s vocals that feel slightly awkward at tackling a performance primarily in English, it doesn’t feel like there’s that much left to offer beyond the first few tracks, at least as far as entertainment value is concerned. That’s not saying that Awakening From Abyss is a bad album though, because especially in terms of power-metal, Lovebites are bringing an energy and vibrancy to the table that this genre needs to succeed, not to mention an instrumental talent that can’t be praised highly enough. But while the compositions are impressive, the songs leave a fair bit to be desired, and that’ll prove a major issue in the future if something isn’t done to make this sound pop to a greater extent. Still, it’s good for what it is, and Lovebites are proving themselves as quite capable of defying expectations to create something that even “serious” metal fans will find enjoyment in. 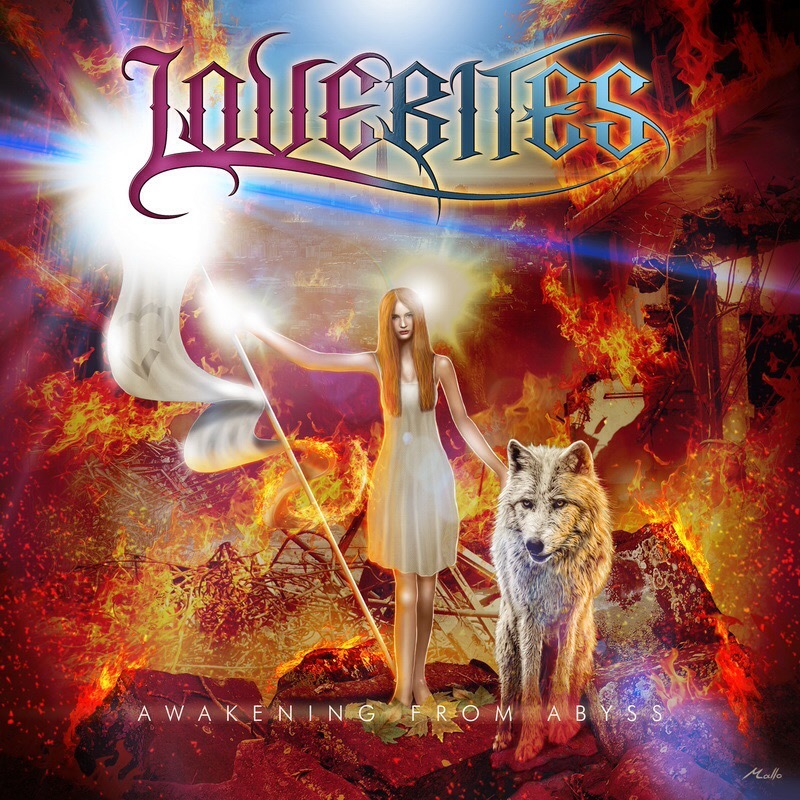 ‘Awakening From Abyss’ by Lovebites is released on 8th December on JPU Records.